The first season of owning the ranch, I was astonished how much food there was just lying around. We had kiwis clumped on an acre of overgrown plants and persimmons bobbing in two untended trees. I’d been a “town” girl most of my life, and this cornucopia of self-provided food – food I didn’t get from a grocery store – was amazing. 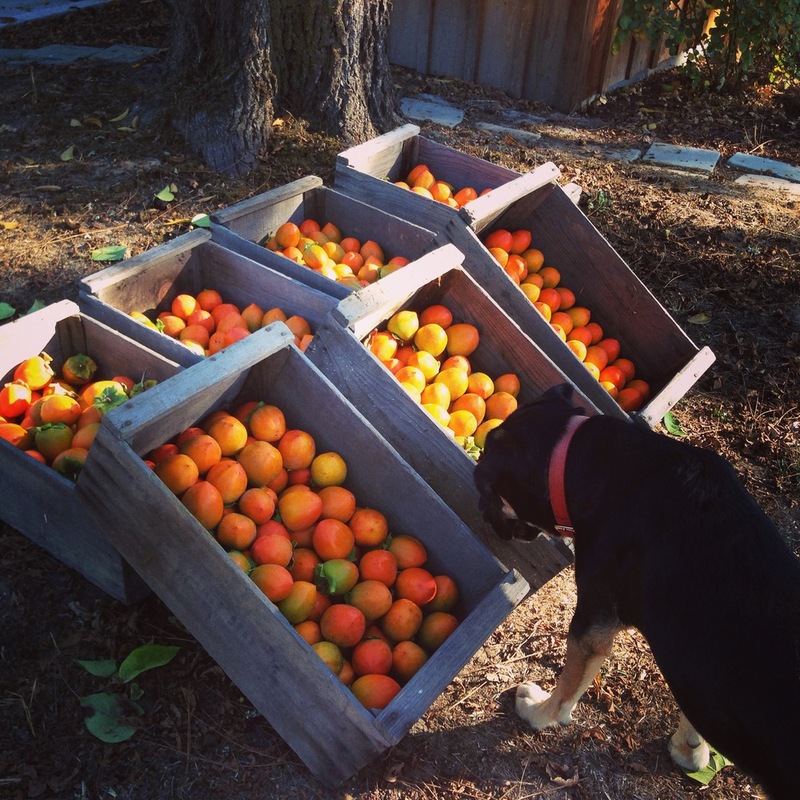 As newbie farmers, we hustled to make sure none of this precious food went to waste. I remember the anxiety about the waste, the overwhelmed feeling about the potential of all this food plopping off and rotting if I didn’t get to it in time. We were fortunate that year to discover two “gleaning” organizations – groups that will come and pick your unwanted fruit. The 4H and Waste Not, Want Not both came to relieve our stress and make sure our fruit would be donated to the many, many folks who needed it. Since those beginning days, we’ve traded the kiwi patch for vineyard and gotten our persimmons under control so we can manage our own harvesting. We’ve even added to our food production with raised beds and additional fruit trees. Like many in this area, we regularly find ourselves with more fruit, kale and zucchini than we can eat or share with friends. So we’re lucky to have two close-by organizations that will take the food off our hands and share it with the 82,000 people in our area who might go hungry without it. Food for Thought, which is an effortless drive to Forestville for those of us in the Russian River Valley, provides food for those suffering from HIV/AIDS in Sonoma County. The Redwood Empire Food Bank feeds low-income children, seniors and working families in Sonoma County through their own program, and provides the food for 175 other charitable organizations. When I step back to look at those numbers – the number of people who might go hungry, the amount of good works these organizations do – then spending a little extra time picking and delivering fruit I can’t use doesn’t seem like such a big deal. We’re fortunate to have this fertile land; there’s no reason to waste its bounty. Older PostThe Boys of D.C.